John is an emerging young professional with a talent for brilliant design documentation. He co-ordinates input from internal and external contributors and delivers according to the project programme. He understands the project process very well and operates with a high level of technical skill. John has been a registered Architect since 2016. 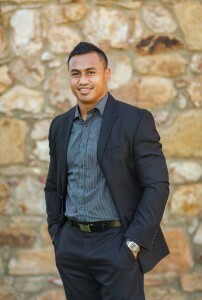 He joined the practice in 2014 following 9 years with GHD Pty Ltd. He enjoys working with the team to come up with creative solutions to complex spatial problems. A calm-by-nature Fijian, John is great to have in the team when the pressure is on. His growing aptitude and positive attitude contributes to project successes. These, in John’s view, are projects in which problems are solved before clients even knew they existed. John’s inspiring architectural role models are on the team at SQCA. Nothing excites him more than discovering how to turn problems into solutions around the office conference table. For inspiration John looks to the natural creation, the handiwork of God. In this he finds infinite variety, color, form and beauty encapsulated in exquisite design along the simple to complex continuum. Vincent Van Gogh’s comment that ‘Great things are done by a series of small things brought together’ resonates with John. He joins his colleagues in recognising that great building outcomes depend on the viability and success of each little detail attended to on the journey to completion. Away from the office John looks forward to time with his young family. If he’s not with them, you can find him on the football field. He considers it a bonus that the game he loves provides great stress relief.